Located approximately 4 miles south of town, the brand new Red Cliff apartment style condos have many of the amenities of the luxury lodging accommodations at a very affordable price. You'll enjoy the new outdoor pool and hot tub that the Red Cliff's complex has to offer. Enjoy the dramatic Moab Rim view from your outdoor balcony while relaxing after a long day of fun and activity. Each condo is 1400 square feet including 3 Bedrooms, 2 baths, a full kitchen, dining and living area, and a large laundry room. The condo was nice and clean. It was safe and conveniently located. WiFi was very good. Some repairs should be made and dishes should be replaced so there is a full set. Overall a good deal. 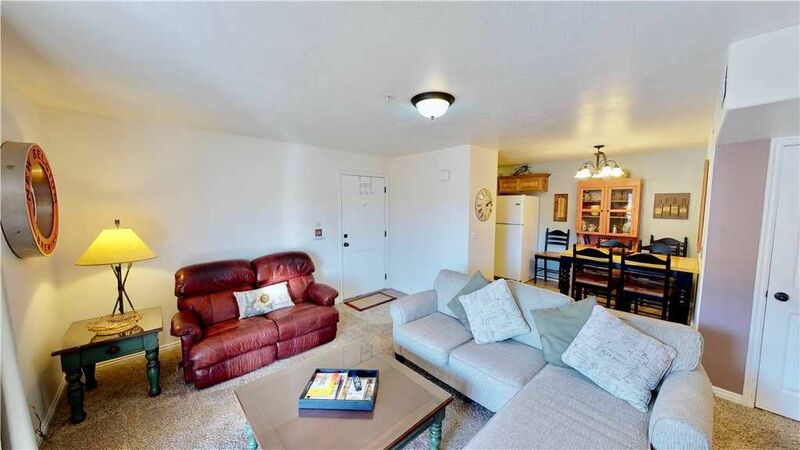 Great Deal on a large apartment just oustide moab. The apartment was clean and large. 3 bedrooms could easy fit 3 couples or large family. We only stayed for a night, but definitely see this as a great place for a multi-day adventure in the Moab area. Quiet area, great views off the private balcony. The condo had plenty of space for a family of 6. Clean. Comfortable. BBQ grill. Pool. Lowest available rate displayed above. There will be an additional charge for larger parties. Please use the Detailed Price link or the Book It button to get a quote based on the details of your stay.